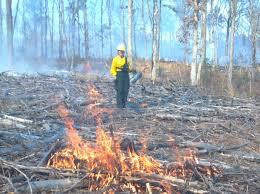 Burn objective is to reduce fuel load and control vegetation for site accessibility. Residents in Caroline County, King George County, Essex County, Spotsylvania County, Town of Bowling Green, Town of Port Royal, and surrounding areas may experience smoke. For concerns, call the Public Affairs Office at (804) 633-8120 during regular business hours.